I grew up in a rural area of New Jersey. They said that there were more cows than people in our county. I had a lot of play time in the forest. Needless to say my time in my natural surrounds sharpened my behavioral and observation skills of animals and nature in general. Rising to the Rank of Eagle Scout did not hurt either. As I grew older, I always seemed to be the guy with the camera. I had no skills, I just took the pictures. After a few decades or so, I just stopped taking pictures and that was that. The turning point was when my daughter surprised me with a photographic safari to Kenya. Naturally, I needed a better camera, lens(s), and a back-up etc. etc.. The rest is history. Some have said it takes years to figure out what your niche is in photography. That would be me. But I have pretty well homed in on nature and animal/bird photography. I enjoy competition and it has really helped me to become a better photography and allows me to gauge the quality of my photos. I have won Best of Shows, Best of Class, merits, and numerous other awards and recognition. I have also been disqualified because my photo(s) were so poor. Competition can be humbling as well as enjoyable. It is a learning experience for sure. In 2015, I earned Photographer of the Year and Photographer of the Year in the Nature Category, plus four Best of Shows in three different events with three different photos. I was awarded by the Audubon to be in the top 100 photo awards in 2015 and 2017. I have been Photographer of the Year in the Animal and Nature category with the Professional Photographers of California. I was ranked 6th in the state of California by the Professional Photographers of California in 2016. My photos have been shown through out the country by theProfessional Photographers of America. Most recently one of my photos will be in the 2018 Bolsa Chica Conservancy calendar. It will represent the month of May. In 2019, one of my photos is on the front cover of the 2019 Bolsa Chica Conservancy calendar. 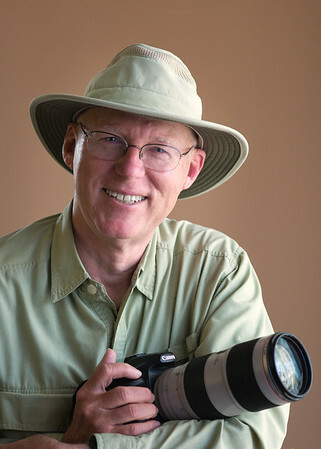 If you would like to purchase my book "Award Winning Photos" you can click on the following link http://www.blurb.com/b/6720262-jim-akers-photography to my Blurb website where my book is available for sale. I hope you enjoy the galleries, buy a book, coffee mug or photo or two and if you have any questions or have a special need send me an email at: jimaica_33@msn.com.